Station Hollywood: Guru Dutt, Rafisahab and music in his films. Melody in Guru Dutts films and combination with Mohammad Rafi. Today, 9th July is the birthday of noted Director Guru Dutt. He was born in 1925 on this day. Rafi became a living legend in the mid-50s after dominating bollywood films over ten years and singing for nearly all the giant productions and leading actors of bollywood. He had very strong combination with thinking actor Guru Dutt. Guru Dutt had created his image in bollywood films in different categories being a thoughtful director and producer, dynamic actor, good choreographer. One of the numerous reasons for which his films became super hit in the 50s and 60s include the brilliant songs sung by Rafi during the golden age. Rafi’s songs in Guru Dutt’s Aar Paar, composed by OP Nayyar became super hit. It was followed by Mr and Mrs. 55 released in 1955. Songs picturized on both Guru Dutt and Johnny Walker had melody and sweetness. Rafi’s songs like “dil pe kiya aisa jaadu”, “muhobbat karlo aji karlo”, “sun sun sun sun zaalima”, composed by OP Nayyar, created landmark in the mid-50s and Rafi emerged as the greatest singer of bollywood films during that time. The same combination of Guru Dutt, OP Nayyar and Rafi gave everlasting hit in the film 12 O Clock with songs like “mai kho gaya”. When Guru Dutt used SD Burman for composing songs in the film Pyaasa and Kaagaz Ka Phool, Rafi was used brilliantly for the legendary music of those films. Both the films won national and international awards and remain a landmark in the field of story-telling. Rafi’s songs “sar jot era chakrae” picturised on Johnny Walker and “hum aapke aankho me” and “yeh mahalon yeh takhton yeh taajon ki duniya” picturised on Guru Dutt had emotions, passions, comedy, tragedy everything embedded in them. 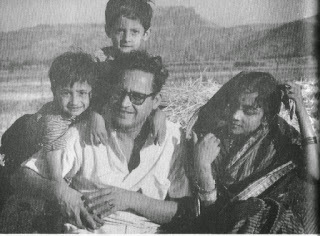 Rafi’s duet combination with Geeta Dutt was bolstered in the film. The lyrics were outstanding as well. The films marked the best music given by SD Burman in his entire lifetime. Guru Dutt can boast himself to have given lips in one of Rafi’s best ghazals sung in the history of bollywood films titled “chaudavi ka chaand”. Guru Dutt picturised the song sequence with colour, showing his passionate relationship with Wahida Rehman in the film Chaudavi Ka Chand. Ravi’s music in the film showed the pardanashin culture of muslims in India during the early 60s. Rafi also sang songs for Guru Dutt in the film Saanjh Aur Sawera, composed by Shankar Jaikishan. The title song “yehi hai who saanjh aur sawera” sung by Rafi became very popular. Meena Kumari balanced the powerful performance of Guru Dutt in the film. The other films where Rafi had contributed for Guru Dutt include Bharosa where Ravi composed melodious tunes including “yeh jhuki jhuki naina” picturised on Guru Dutt and Asha Parekh. Guru Dutt’s music in the film Baharen Phir Bhi Aayegi composed by OP Nayyar, created sensation in the mid -60s. It was a tragedy, that Guru Dutt died before the release of the film and could not see the success of the film. The songs sung by Rafi and picturised on Dharmender mesmerized the audience and still haunts people all over the world. One of those brilliant songs include “aap ki haseen rukh me aaj naya nur hai, mera dil machal gaya to mera kya kasoor hai”. The uniqueness of Guru Dutt’s relationship with Rafi lies in the fact that whether the composer was OP Nayyar or Shankar Jaikishan or SD Burman or Ravi, the music composed for whom had philosophical thoughts embedded in them and Rafi gave expression to the mesmerizing lyrics of evergreen tunes which had become immortal over a period of time. The films and the songs should be preserved and restored.